Superior on tracks, powerful off the road. For Crossovers, SUVs and Pickup Trucks. The Grabber HTS guarantees great driving fun off-road and on firm surfaces. Innovative tread pattern design from General Tire ensures the perfect synthesis of comfort, performance and durability. This tire has a powerful grip and reacts in an optimal way to all surface demands in the most varied weather conditions. 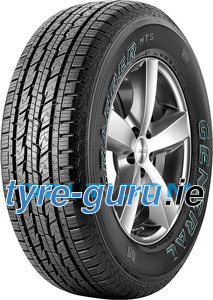 The reduced rolling resistance minimises wear and fuel consumption. Born from competition but adapted for the highway, this technology provides even treadwear for longer mileage and confidence in challenging conditions. High performance in extreme conditions and track holding on asphalt. DURAGEN technology uses the latest advances in technology. The tread ensures high performance off-road and tracking stability on asphalt. Outstanding steering precision. The flexibly responsive groove geometry and stabilising tread bands anterior to the shoulder area ensure the Grabber HTS sits firmly and safely on the road and exhibits outstanding steering precision. Improved traction and reduce aquaplaning risk. Water-repellent lateral grooves constantly channel water away, improve traction and overcome the fear of aquaplaning. Short braking distances, improve acceleration and steering performance on slippery ground. Optimised longitudinal grooves shorten braking distances and improve acceleration and steering response on slippery surfaces. Reduced fuel consumption and CO2 emissions. The even tread pattern with high-tech contour reduces fuel consumption and thus CO2 emissions. HAve these tires on both a 2000 Expedition and a 2000 Excursion. Both have NO tread left at 22,000. I have been a big fan of General tyres for years especially UHP's BUT the HTS is a very good tyre design and an excellent choice for all year round, UK roads but let down by the quality of manufacture and especially the tyre supplier as 2 of the 4 tyres could not be balanced correctly even after 3 balances at 3 different places! 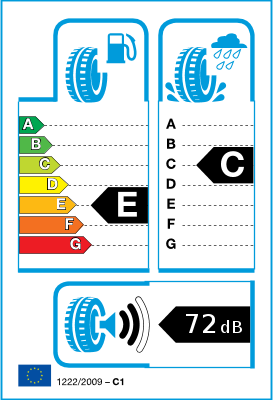 All garages suggested a manufacture defect but the tyre seller (mytyres.co.uk) were 100% useless when it came to answering my concerns and exchanging them so i just have a truck whose wheel vibrates at certain speeds, JOY! Great until the tire just failed on a normal highway drive. Side wall blew causing serious damage to the rim. Had to replace everything. I ahve another Durango and will probably put a different brand on....should have never left Goodyear!